LG is one of the many smartphone companies that manufactures amazing flagship smartphones yearly. Just when we thought we had seen it all on the LG G6 that was released February this year, LG pulls a fast one on us with the LG V30. The LG V30 is big.. bold… and beautiful! The structure almost looks like that of the Samsung Galaxy S8 Plus but it has it own share of uniqueness and detail. The LG V30 is smaller, slimmer and even lighter than the Samsung Galaxy Note 8. The thickness and weight are 7.4 mm and 158 gram, compared to the Note 8’s 8.4 mm and 195 grams. The V30 almost has a full view display. There are no side bezels at all and the top and bottom bezel are also almost negligible. On the rear/ back, I like how the fingerprint scanner was given enough space away from the camera as this will eliminate obstruction of the camera lens whenever you need to use the fingerprint sensor. Great design. The LG V30 has a large 6.0 inch P-OLED capacitive touchscreen. The display has a high-resolution and pixel density – 1440 x 2880 pixels and 537 pixel per inch (ppi) respectively. The display being very large and fragile, is protected against shattering and easy breakage by the Corning Gorilla Glass 5. The LG V30 has two variants. One with 4 GB RAM and 64 GB ROM combination, and another with 4 GB RAM and 128 GB ROM aboard. There’s a dedicated micro SD card slot for storage expansion to 256 GB. The 2 version however, both run on the latest Qualcomm Snapdragon 835 chipset and are run by a super fast 2.45 GHz Octa core processor. 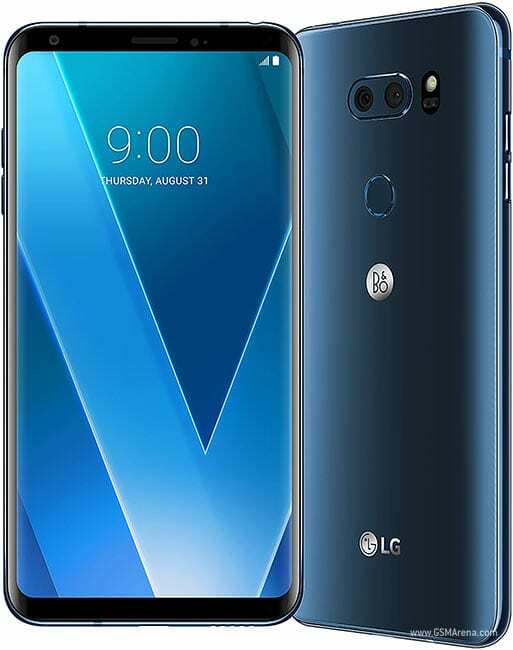 The inherent operating system that comes with the LG V30 is the Android v7.1.2 Nougat. The snappers on the LG V30 really looks promising. There is a dual camera set-up on the rear of the device. The main camera are a single 16 MP lens and a supporting 13 MP lens. There’s a LED flash right beside the camera for bright and properly lighted images both in high and low light conditions. The secondary camera for taking selfies and making video calls is a 5 MP lens with f/2.2 aperture. The LG V30 battery is a 3,300 Lithium Polymer cell which is non-removable. The device comes with the Quick Charge 3.0 which charges the device from 0% to 50% in just about 30 minutes. You can also charge the V30 wirelessly by placing it on a charging pad. Amazing device. The LG V30 is relatively cheaper than the Samsung Galaxy Note 8. It costs about $1,000; NGN 387,000.